OEA is a Natural Metabolite of Olive Oil Produced in the Human Body. IT IS SAFE & FDA ACCEPTED (FOOD & DRUG ADMINISTRATION). The body needs approximately 12 liters of Olive Oil to Produce as Much OEA in 1 Bottle of RiduZone. During this time I have not experienced any side effects and has helped me control my appetite. Because of that I eat less and as the weight has come off, the level of activity has gone up. My waist size has gone down. RiduZone is helping me reset my internal satiety mechanism to reduce my caloric intake and burn fat. 13 of 14 Former “Biggest Loser” contestants gained their weight back. It’s because of their decreased metabolism. "Eat Less, Exercise More Isn’t the Answer for Weight Loss." So how will you avoid gaining the weight back? Try RiduZone for 30 days, and if you don’t see and feel the results, simply return it for a Full Refund, less shipping & handling. Reference: Overcoming Obesity 2016 Conference, Organized by Obesity Medicine Association, Poster No. 19, Sept 23-25, 2016, Chicago, IL. "Unlike new drugs, dietary supplements are not reviewed and approved by the FDA based on safety and effectiveness. The RiduZone team, however, submitted RiduZone to the FDA as a New Dietary Ingredient (NDI). It was important for us to get the acceptance of the FDA because we wanted this trusted organization to review the science of RiduZone (and it’s primary ingredient OEA). ) In the Summer of 2015, we received the acknowledgement of RiduZone as a NDI from the FDA." What is the Science Behind OEA? 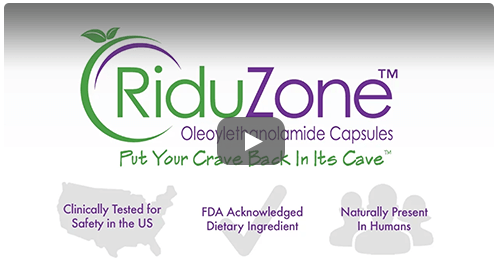 RiduZone is the only FDA Acknowledged product in the market with the patented dietary ingredient oleoylethanolamide (OEA). 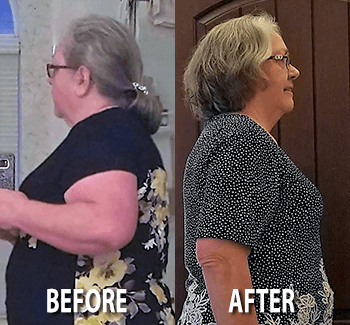 The team behind RiduZone (NutriForward LLC) worked with scientists and doctors to create a supplement to help people regulate their appetite, weight and cholesterol. By utilizing the science behind OEA, Riduzone is formulated to help ease the difficulty of managing our otherwise uncontrollable appetites. “The answer to your weight loss and fat loss problems exists within you, that is – OEA produced in your small intestine. RiduZone just gives more of what you already have”. I have highly recommended this product to many friends, colleagues and family members who are trying to lose those last 5-20 pounds after plateauing from regular diet and exercise. A healthy weight is about much more than fitting into your “skinny jeans” or getting rid of extra pounds. While we are very excited about the results our customers are seeing when they can better regulate their appetite, RiduZone may not work for everyone. We are happy to offer a refund to those that do not experience support in healthy appetite, weight & metabolism. Our money-back guarantee will refund the purchase of one bottle of RiduZone within 30 days of purchase. Please note that the offers below are NOT an autoship or subscription order. Our company does not utilize any type of automatic recurring billing processes.